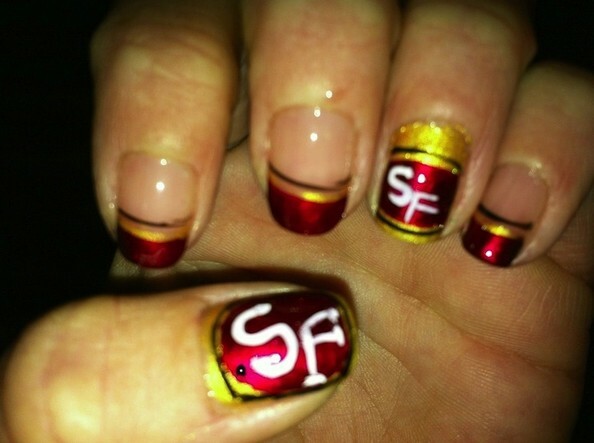 I love any excuse to get my nail art on. This weekend, I’ll be using the Super Bowl as my inspiration for some football-themed designs. 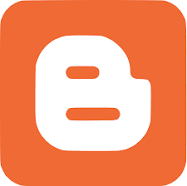 Do you take inspiration from big events or holidays when doing your nails? I usually stick with punchy colors for most days, but try to switch things up when I can. Since I’m definitely not about to splurge on any new gear for the game, because if I bought either team’s jersey I’m certain I’d end up wearing it only once. Instead, I’ll save some dough and show my support on my fingers. The nails above are super cute and would be simple to DIY. 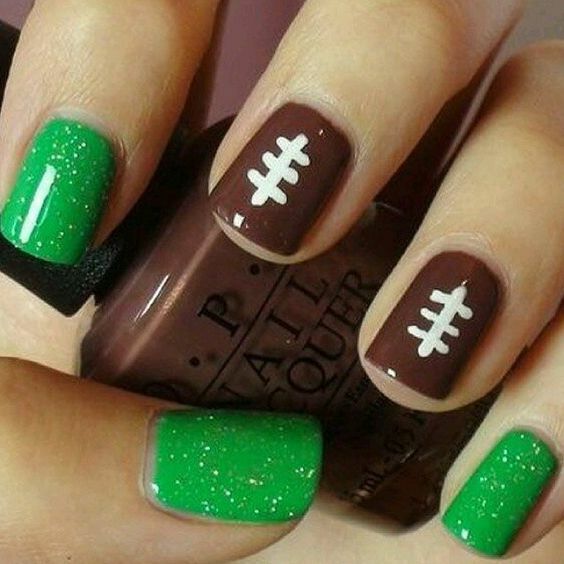 I really love the ombre detail on the green nails, but I imagine they’d be just as cute in one shade of green. I’m loving this look, too! 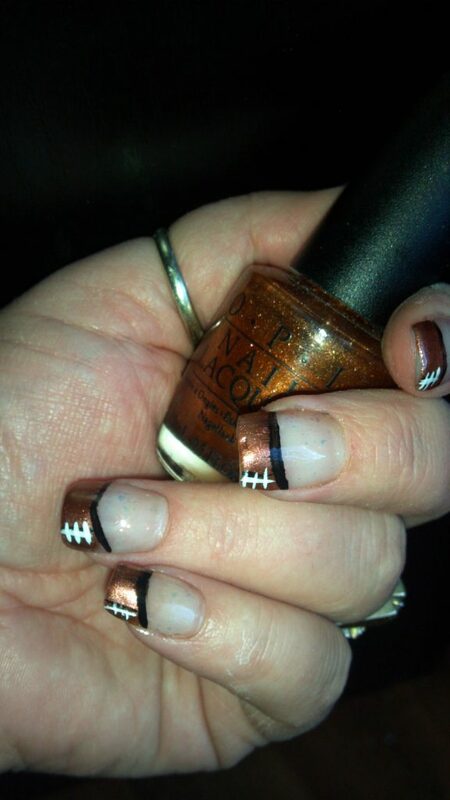 For someone who wants a football-themed look without painting your nails entirely brown, this is a great idea. The thick white line near the top and bottom is usually a missing detail on most designs, so I really like that they remembered to add it in. That golden yellow shade is so pretty! I would definitely wear it even after game day. 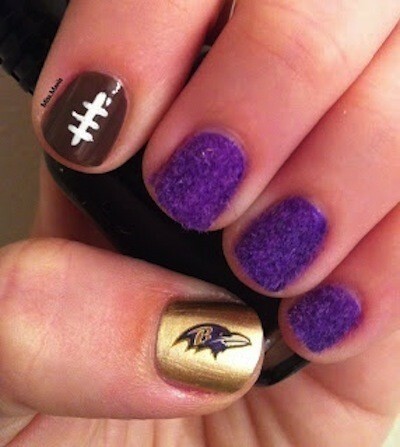 These Ravens inspired nails are super cute, too! I love the addition of the purple fuzz. It’s a really unique way to reinterpret the idea of feathers. 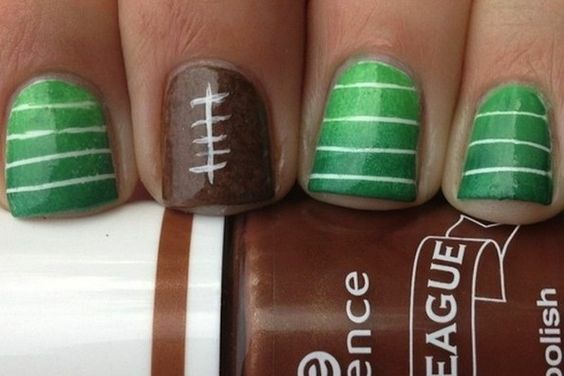 Will you be trying out any of these Super Bowl inspired nails? Which look do you love the most?